It really could pass as a vintage piece. 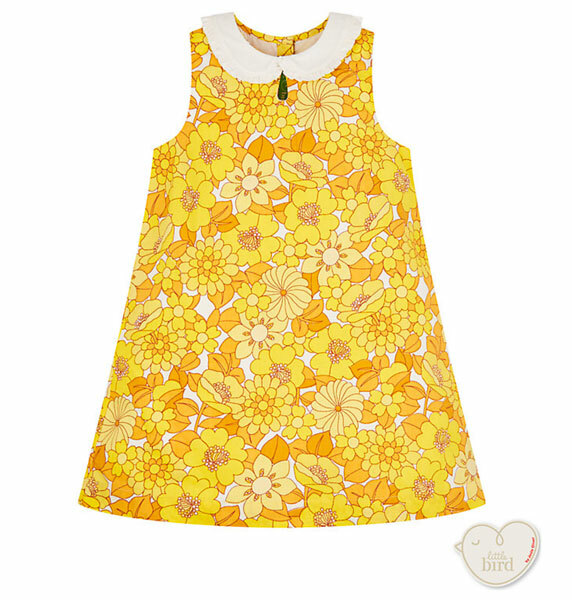 This is so reminiscent of the kind of clothing children were placed in back in the 1960s and into the 1970s. 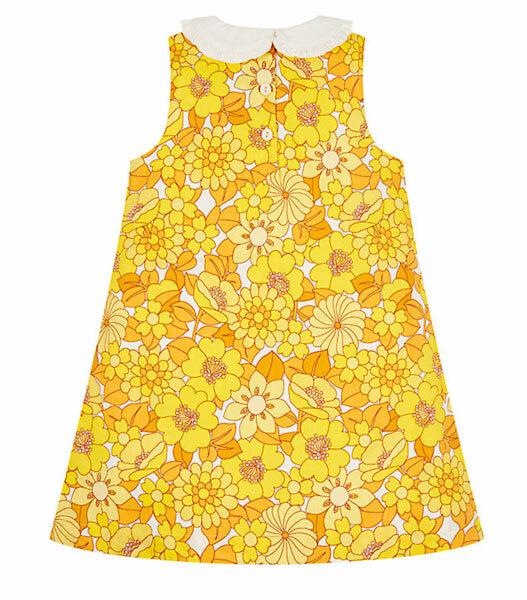 So if you want something retro that’s perfect for the summer, this could be for you. In fact, it’s a dream for the kind of weather we are having now, both in terms of the cut and the colour. Being a lightweight, cotton rich fabric, construction works for the warmer weather too. 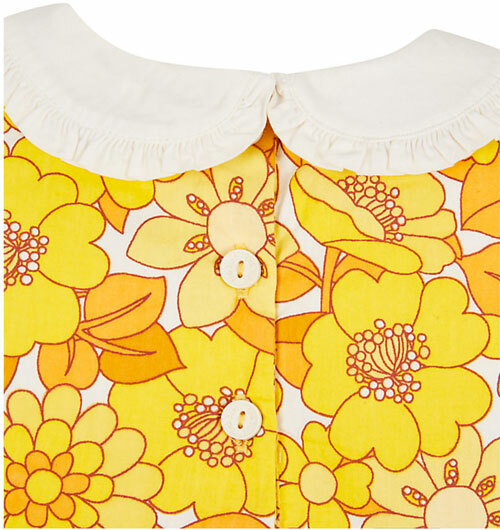 As for the design, it’s all about that vibrant yellow colours and the bold floral print, topped off lovely with a vintage-style peter pan collar. On a practical level, the dress has button fastenings for easy outfit changes, which is always a bonus. 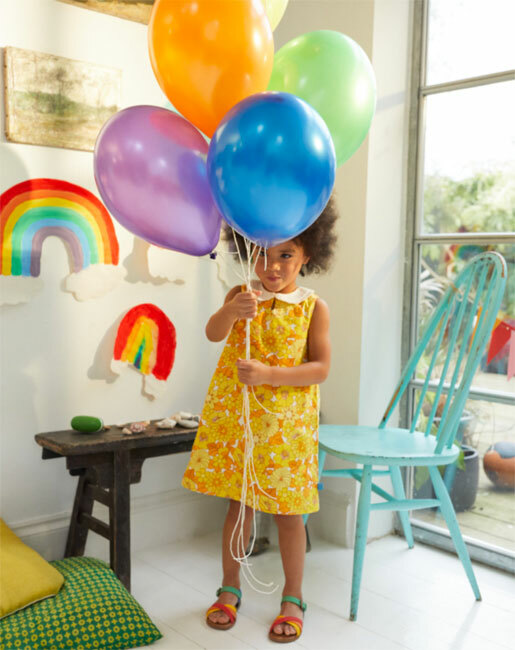 18 months through to four years are the available sizes and the price is between £19 and £20. Note that is is a Mothercare exclusive.